If you don't use a software updater, you might be missing out on important patches to some of the programs you use every day. Many programs automatically update themselves so you can be sure that you're always using the most recent (and most secure) version, but this is't the case for all software, and some updaters works in different ways. For example, you may not be offered updates for programs you don't use very often, and it can be difficult to remember to launch programs just to see if there's anything new to download. This is where a dedicated software updater can help you out. 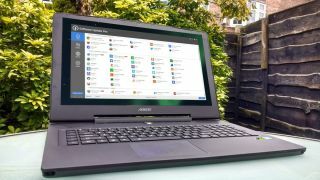 These handy utilities will scan your computer to determine what you have installed, and will then go online to see if there are new versions of any of your applications available. Some utilities will automatically install the updates for you, while others will simply let you know that there's an update available. Either way, you'll be able to ensure you're running the very latest versions of all your favorite programs with very little effort. Patch My PC has been around for a while now, and it has gained a large following – something you'll understand once you try it out. This is a portable app, making it ideal for sticking on a USB drive and keeping friends' and family's computer updated, and it's delightfully simple to use. As soon as you launch the program, it will automatically scan your computer, determine which software you have installed, and quickly let you know which needs to be updated. The database of programs it supports is not completely exhaustive, but it's pretty comprehensive. If there are any out-of-date programs detected on your computer, you can start to update all of them with a single click – there's no need to manually start each updater as each of the updates will be downloaded for you in turn. Many programs will update 'silently' without the need for any intervention, but for some you will be prompted to allow the update to continue. As an added bonus you can configure update checks on a scheduler so you don't need to remember to run them manually. Great stuff! Drawing on its sizeable and growing database of software, the Downloadcrew UpdateScanner is able to check for updates across a huge number of titles. The program can be configured to start automatically with Windows and check for updates every time you start your computer, or you can schedule scan for a particular time of day. You can, of course, opt for a manual scan if you prefer. While the program is undeniably powerful and very thorough when it comes to checking for updates, the way it works is not as smooth an intuitive as some of its rivals. The updater sits in your system tray and a pop up lets you know when something is available to download. Click the notification and the main program interface will appear, complete with links to endless program you may want to install. Hiding at the top of the screen is a link to download the available updates, and clicking this takes you to the Downloadcrew website where you can download the newest versions of software manually. SUMo has nothing to do with Japanese wrestling – not that we really imagined that you thought that! The name is short for Software Update Monitor, and it does very much what you would expect it to. There's a slight problem, through: it does it a little slowly. As you would hope, the program scans you hard drive for software so it knows what you have installed, and this process can be a little on the slow side. SUMo will then let you know of any programs which need updating and you can manually select those you want to update and download the latest version from the SUMo website. If you want the advantage of automatic updating, you'll have to shell out for the Pro version of the tool. There are some nice touches such as being able to check for beta versions of software, and the option to choose to ignore (ie never check for) updates for certain programs. There's also a secondary tool available, DUMo, that can be used to check for driver updates. A perfect companion. In tests, OUTDATEfighter seems to be rather more limited than the competition. The utility found fewer updates than alternatives update tools did, and this raises the question of whether it is going to miss something important when it really matters. In addition to this potential problem, the program interface serves as an advertising billboard for other products by the same company. You'll find toolbar buttons that link to information about utilities to speed up and protect your computer in a variety of ways. OUTDATEfighter can also be used to uninstall software you no longer need, as well as managing Windows Updates – it's not really clear, however, why you would want to go down this route rather than simply using Windows' own tools. Ultimately, your mileage may vary with OUTDATEfighter. You may be in luck and find that all of your installed software is supported and detect. It's worth testing it to find out. The good news is that it does. This is a quality tool with a great, professional feel and a high update detection rate. For system administrators and home with multiple computers, there is a remote update option that lets you administer other computers from afar. A lovely idea. Sadly, as with many other update tools, the update process is a manual one – unless you are willing to pay for an upgrade to the Professional version, in which case it can be automated. A nice touch here is that you are given trial access to the Software Update Professional so you can get an idea of how it works and whether it is worth your money. A word of warning. Take care during the installation of the program that you do not unwittingly install the extra Malware Hunter tool that's offered to you. You don't need it.